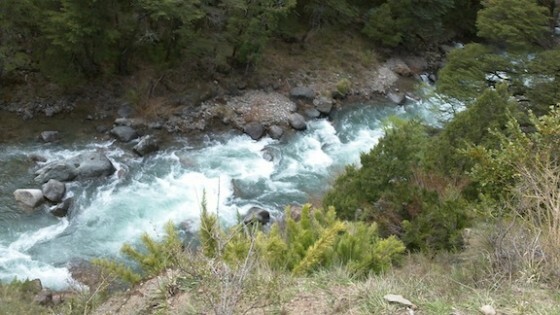 The Rio Ñirementum is a journey deep into Chile´s traditional Mapuche culture. The river is within the boundaries of the Cañicu Indigenous clan, one of several in the Queuco valley in the country´s 8th Region. The name means ¨place of foxes¨. This walk in creek is only runnable in winter or early spring in years with good snowpack or after periods of prolonged rainfall. (September/October) In the shadow of Volcan Callaqui, the principal source of this river is the Cordon Ñirementum (pronounced Nyreh-men-tum) and the volcano itself at 3164 meters. 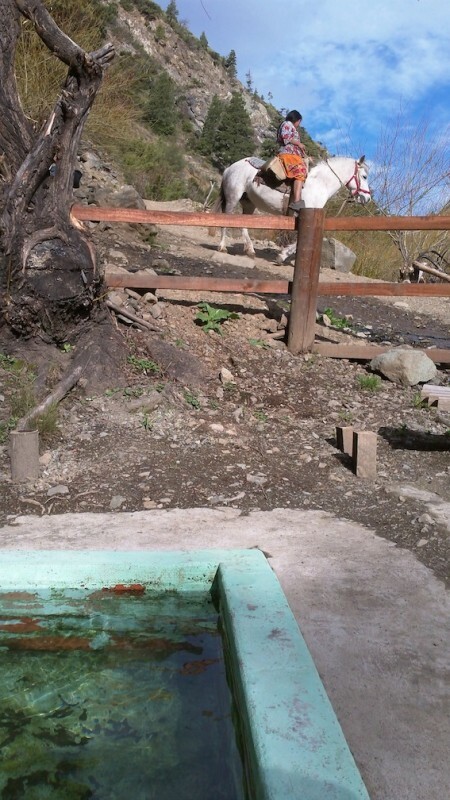 To reach the put in take the Los Angeles exit off ruta 5 then head east up the Bio Bio drainage thru Santa Barbara and on the Ralco. In Ralco follow the gravel road north towards Trapa Trapa. 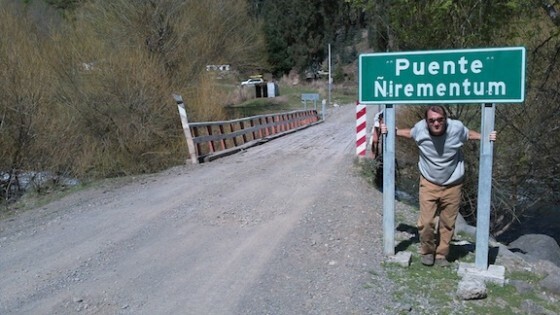 After 35.4 km you come to Puente Ñirementum at lattidtude 37.715 and longitude 71.406 and elevation 700 meters.. The put-in is 5 km upstream where a foot bridge crosses the river. Start hiking at the caribinero station on river left side of bridge. Hike is 2 hours and put in elevation is 848 meters. The 5 KM stretch averages 30 m/km of 150 FPM. Volume is around 300 CFS. The river is very continuous but with no big drops. The main danger are trees growing in the river. After the river continue up the Queuco 11 km to the Termas de Nitrao which are part of the Trapa Trapa community and worth a soak for $ 1000 pesos. 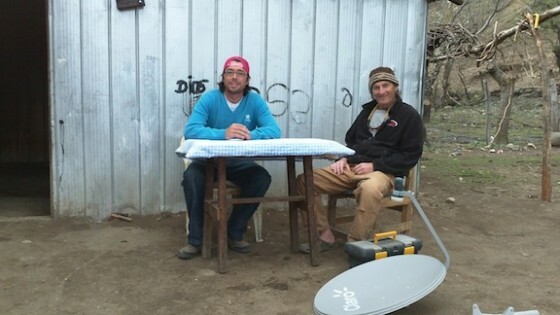 We had lunch with local Cacique or headman 1 km upstream from the termas before heading back downstream. A topo map is useful for the area but not necessary. The 1:50,000 map is titled Queuco G-032.. Nearby rivers include Pangue, Duequeco, Quillaleo, and Laja but the best option is the Upper Queuco starting at swinging bridge 1 KM above Termas de Nitrao and taking out 9.4 km below the Malla Malla Canyon. 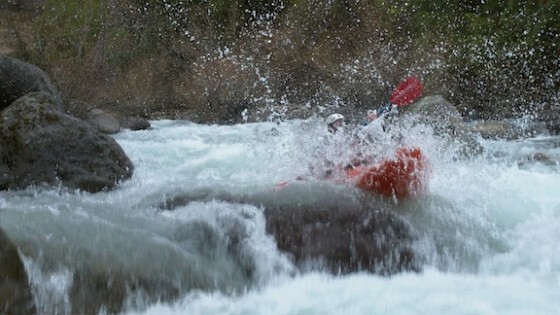 This class 4* section can be done as a short day stretch or combined into a multi-day with middle and Lower Queuco for over 60 km of whitewater.